Product: Damn near kilt ‘Em men’s Highlander utility kilt. Rating: I m rating this must have, 9 out of 10. More men are joining this growing trend toward wearing kilt and kilt/ like garments. Are you one of those men, will you become a manche/kilt wearing man, should you? In my perceptive opinion. I do think all men and boys should have at least one of these in his wardrobe; you should not have to be of a particular ethnic fraction or even a fashion buff to have the experience of comfort, ease and style. This garment will add to your dress. A man in a manche ( it should never be termed skirt, while on men ) is quite a turn on, and in general, people enjoy this, especially women, and more than you would imagine, thinks you are gorgeously hot when you wear them. I do believe however that men enjoy wearing them for slightly different reasons. Some men are now wearing ( skirts) manche for a few reasons, 1: sometimes in protest, because women can wear pants or anything and it’s all acceptable, 2: There are very few garments as such, that are made specifically for the men, that wants wear them. 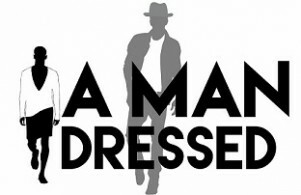 3: Men are looking for more versatility, new ways to self-express, comfort, and not be limited to just pants or shorts. Check this out. I feel these men are better looking, because of how they’re dressed. As always, glad you stopped by, would love to hear your words, what you are thinking, please leave a comment. Be the first to comment on "Men in Manche-Kilt- or- Skirt/The- Review"